Social Media: Is It Possible To Mix Business With Pleasure? We live in the digital age, where the internet is king. It’s where we go to get our news fix. It’s where we look for jobs. It’s where we shop. And it’s where we date. We can find out a lot about a potential partner from their social media accounts, yet it’s easy to forget that our potential new boss can also find out a lot about us from ours. Should we be doing a social media cleanse before applying for new roles? Is it ok if your new boss has seen your drunken university photos on Facebook? And can social media ever work in our favour when it comes to our professional lives? 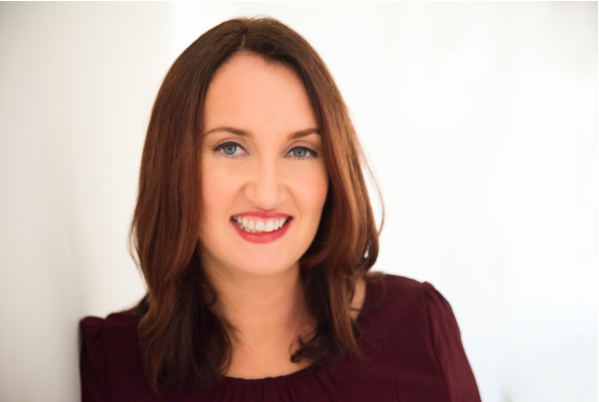 I’ve been talking to Jennifer Corcoran, a Social Media Consultant to get some advice. Jennifer is the ultimate super connector and social media queen, with awards to prove it. How would you say social media has changed your career? Social media has dramatically changed the course of my career. I grew up in a world better suited to extroverts where the loudest in the room made the maximum impact. The advent of social media changed all that and gave everyone equal access to success. I used LinkedIn a lot in my former career as an award winning PA. I used it to network with clients, suppliers, peers and ambassadors around the world and went on to win the title of the most networked PA in London alongside national and global titles. I had back surgery in 2016 and that was the turning point when I decided that I wanted to help others to find their voice online so I quit my job in banking and set up My Super Connector. In a nutshell, I now help professionals and entrepreneurs to polish up their LinkedIn profiles and connect with finesse so that they too can achieve career and business success. Have you had any social media disasters, and how did you recover from them? No luckily no mistakes as yet. I’ve done a lot of courses with Pitman Training and Concise Training so I like to think that that has helped. I’ve also been trained at Facebook Headquarters in London. I’m mindful that anything I put online is representing my personal brand and I also came to social media in my late 30s. I’m not a part of the selfie generation and am very considered in my approach. What advice would you give the next generation about to enter the world of work, who are well versed in social media, but perhaps less so on the pitfalls it can present to your career? Realise that recruiters are going to be looking at your LinkedIn and Facebook profiles and probably all of your social media accounts. Be mindful of your privacy settings and who has full access to your accounts. Just because you are not friends / connected with someone doesn’t mean that they can’t view your feed if the proper settings are not in place. Be careful about the photos that you put up and about tagging rights. Check whether your posts are public or private. Many millennials are taking a step back from social media, and undertake regular digital detoxes. Do you think we rely too heavily on online interactions? Yes sadly I do – we are all addicted to our phones including myself. On every train, bus, tram etc everyone is head down looking at them, the same too when people are walking. It’s good to take a break and schedule your social media otherwise you can spend all day falling down a rabbit hole. I teach people how to make the most of LinkedIn in only a few minutes a day versus endless scrolling to no effect. Do you have a preferred social media platform? Yes LinkedIn. When I first started as a consultant I covered Facebook, Instagram and Twitter but LinkedIn has always been my platform of choice. It’s a fantastic platform to develop your personal brand and all of the key decision makers are on there. With a few tweaks you can make the most impact. Do you have separate social media accounts for your work and your personal life? My business is very much me, myself and I. I’m the ‘super connector’ so I decided to merge both. My LinkedIn, Twitter, Instagram and Facebook are all about me and my business combined but with a business focus. That being said I keep my Facebook profile for my family and friends only and have a Facebook business page for clients etc. I’m not a fan of being ‘friends’ with business connections. For me LinkedIn is the best place for that and you need to have some boundaries and not feel permanently ‘switched on’. If so, is this a strategy you would recommend? If your business is totally separate to you I would definitely recommend separate accounts. If this becomes overwhelming you can outsource the business accounts to a Social Media Manager / Virtual Assistant with shared values. You can also connect with Jennifer on a variety of platforms, including LinkedIn, Facebook, Twitter, and Instagram. Written by Aimee Atkinson who can be found as @AiméeLouTweets on Twitter. Tips On How To Start Regular Exercise - (And Actually Stick With It)!